Cardiovascular disease, including ischaemic heart disease and cerebrovascular disease, has become the number one cause of death in women worldwide. Having had a pregnancy complicated by pre-eclampsia may be more than just a risk factor for the development of cardiovascular disease later in life. 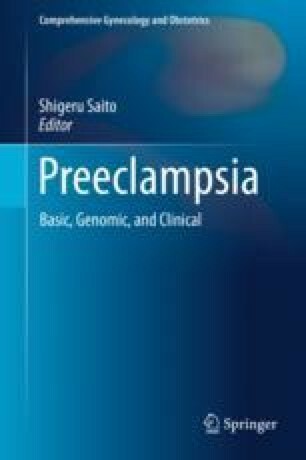 Pre-eclampsia causes significant morbidity and mortality in the acute setting with multisystem involvement. We are now learning that while these acute effects resolve in the short to medium term, their legacy is long-lasting. In this chapter we explore the mechanisms involved in the development of long-term hypertension, chronic kidney disease, ischaemic heart and cerebrovascular disease, diabetes and venous thromboembolism. Ways in which the post-partum period can be used to improve the long-term health of these women are reviewed, including the difficulties in identifying subtle abnormalities in parameters such as post-partum blood pressure because normal values have been based on studies often done on middle-aged men. Unfortunately diet and exercise on their own appear to be ineffective in reducing the risk but are important first steps for new mothers to alter their longer-term risks and improve their journey through subsequent pregnancies.